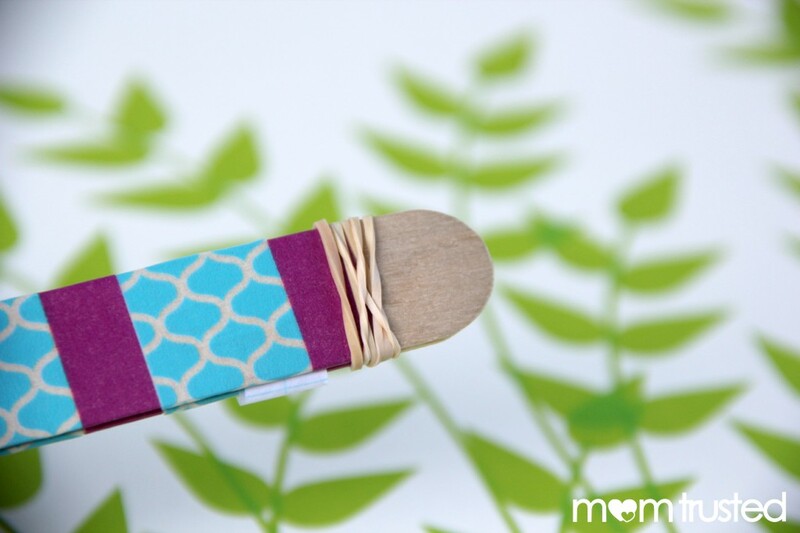 This popsicle stick kazoo project is easy and fun. Kids enjoy making then and them making music with them afterwards! 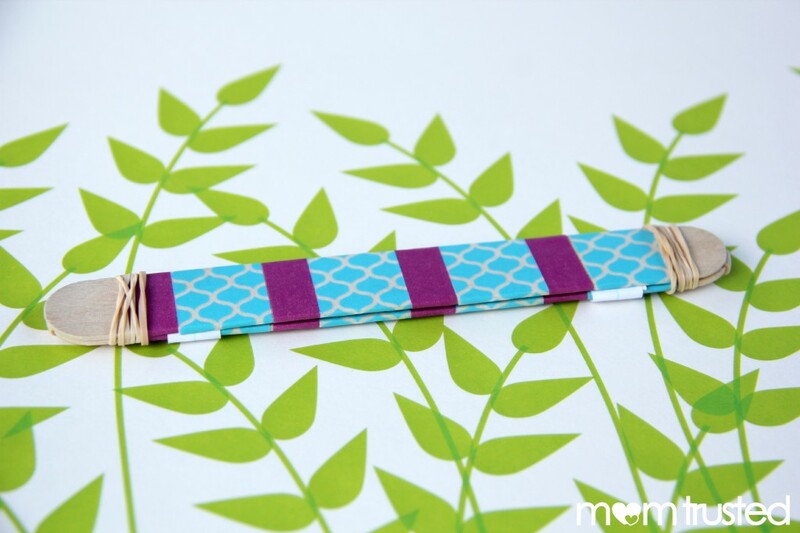 Start by decorating your sticks with the washi tape. We did a pattern with 2 different colors by wrapping the tape around once always starting and ending on the same side (this will be hidden in the inside of your kazoo so it is ok that it looks a bit messy). Then you will cut a 1/2 in wide piece of paper. Place the two sticks together and wrap the paper around them 1 time. 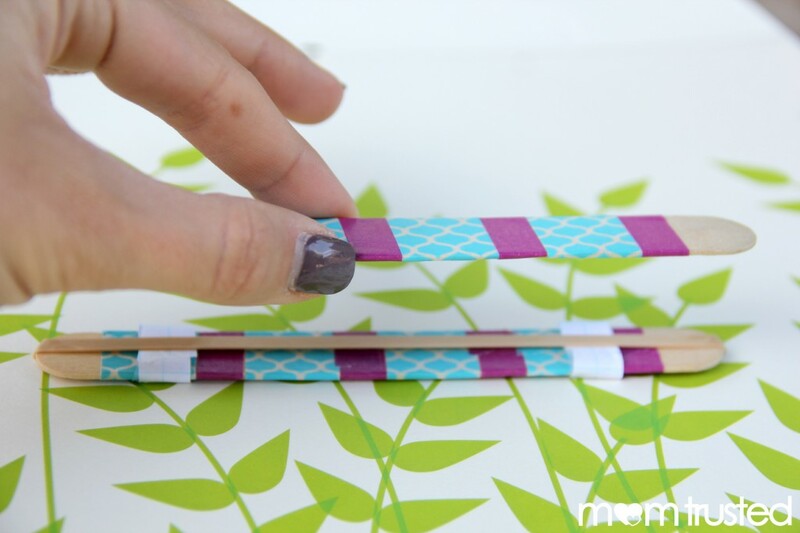 Rip off the excess and tape the paper to itself to create a loop around the sticks. 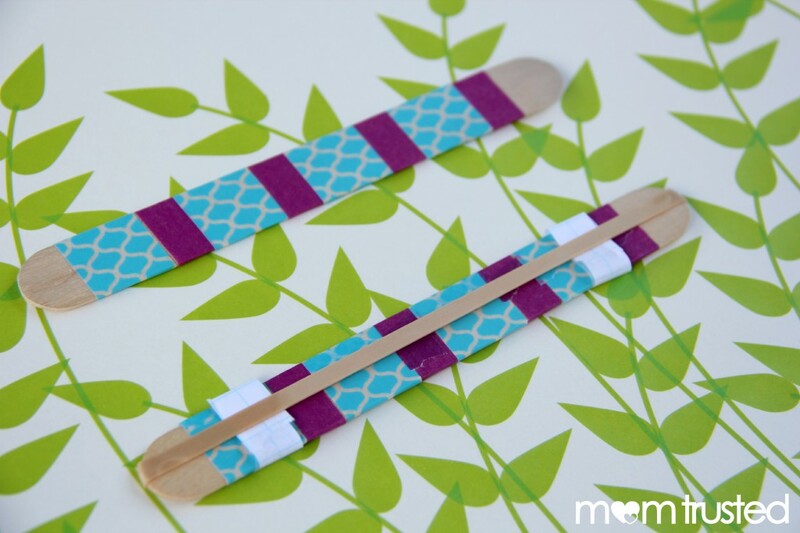 Remove one of the popsicle sticks from the loops. 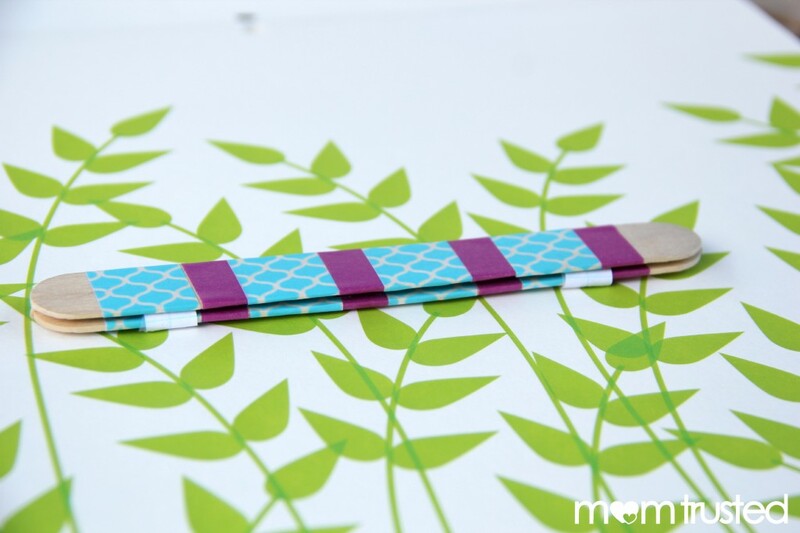 Stretch the wide rubber band across the length of the stick with the loops. Place the popsicle sticks together again. Wrap the thin rubber bands around each end several times.